Our 10-step carpet cleaning process gets results for homes in Winston-Salem. Here at Steam Source, we’re known throughout Winston-Salem, North Carolina for our signature 10-step carpet cleaning process. From the pre-inspection and furniture removal to grooming and the final inspection, every step of our process is designed to get results. Our team diligently follows through and completes every step to ensure great results and exceptionally clean carpets that look like new. We know you’ll be more than satisfied with the way your floors look after we’re done, and it all comes down to our unique and proven process. If you want to know more, please don’t hesitate to get in touch with us today! The pre-inspection is done once the crew arrives at your home. 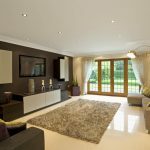 The crew leader will walk through your home and keep you informed on what exactly is going to take place during the cleaning. Make sure to point out any areas of concern to the crew leader so they can answer any questions you may have. Pre-vacuuming in homes where there is excessive pet hair is imperative. This step may not be required in every home, but is highly recommended in homes with pets. 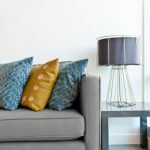 It is our policy that our technicians will move any furniture that two men can move safely. We will ask you what furniture you would liked moved during the walk through. If the crew feels at all uncomfortable about moving furniture pieces they will inform you of this. 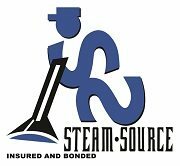 For insurance purposes we ask all our customers to sign off on the invoice before hand stating that Steam Source is not responsible for any damage that may occur. It is also our policy that the technicians do not move any entertainment centers and or computer desks or equipment. Once your carpets are cleaned, the furniture will be placed back in its exact spot with coasters blocks under the furniture legs. We ask that the plastic blocks remain in place for 2 to 3 days, until the carpet is completely dry to protect the carpet from any furniture stains or bleeding. On average every customer we service has stains that require special attention. Our technicians determine which spotting agent will best treat the stains. Our pre-spray is a dirt emulsifier that works to break down dirt and raise it to the top of the carpet maximizing the carpet cleaning. This process is also known as hot water extraction. To obtain maximum cleaning results every technician uses a proper wand stroke demonstrated during their advanced training. The crew leader will be checking the system settings such as pressures and temperatures during this step to ensure that your carpet cleaning is being done at peak equipment performance..
Often certain areas may need to be cleaned more than once and spot treatment is repeated. If there are spots they will need to be treated again. Depending on the spot it may not come out during your carpet cleaning, but it is our duty to make sure every effort possible has been made to get the carpets as clean as possible. If protector is not applied the carpets are susceptible to permanent staining and wear. Most carpet is manufactured with a protector however it does wear off over time and especially after cleaning. Not all odors will come out after the initial cleaning. Sometimes a deodorizer needs to be applied to kill any odor causing bacteria which is the source of the odors, leaving a fresh clean smell, and a satisfied customer. 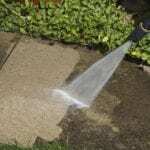 Applying protector or deodorizer is optional for each customer at an additional charge; however, this step is recommended by the carpet manufacturer. At the request of the customer, we can place a high speed commercial blower to help speed the drying process. One will be placed at every area that has been cleaned. Normal drying times range from eight to twelve hours. By using the blowers we can cut three to four hours off that time. Technicians can also place a blower on an area they may have had to go over more than once. This extra step demonstrates our efforts to make sure the customer is completely satisfied. Also be aware of any breakables that may be in the path of the fan. Being a commercial strength blower it can knock over small items. Grooming is the final step in our cleaning process. Grooming, or “raking”, helps to decrease drying time as well as ingrain deodorizer and or protector in to the carpet fibers. This helps the chemicals to bond with the carpet fibers. This step is not usually offered by most companies, and if they do there is usually an extra charge for it. Upon the completion of all jobs, a final walk through is done with our customers. The crew leader walks from room to room going through the cleaning process, answering questions and describing in detail any problem areas discovered and the steps that were taken to treat them. All stains will be noted on the invoice and whether they came out or still remain. Some stains need to be retreated after a month or so before your next scheduled cleaning.